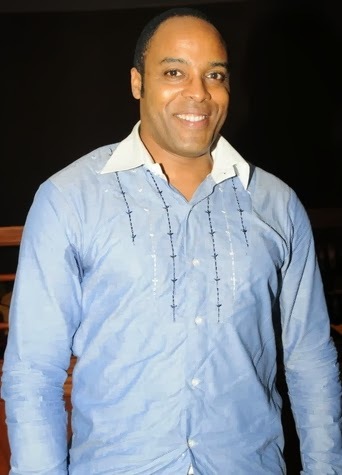 In this recent interview, Nollywood actor Kalu Ikeagwu confirmed his single status and why he is yet to bid goodbye to singlehood. The British-Nigerian actor claims he hasn’t married because he’s yet to find the woman of his dream. Are you still single? Yes I am. Are you in a relationship right now? I will not answer that right now. Aji, this man is stinge and I don’t think he can make genev happy he will be miserable to her foolish man at that big age…………….. This Kalu of a guy is useless mo**therf**cker. Wait 4 an Angel 2 marry, did u hear dat? Dis 1 u‘re seriously serchin lk dis, steer clear of my ms Red o, eheen. Bc i knw she possess all dos qualities u‘ve just listed above n even more. How long will u being sleeping slot. Or how long will u being waiting .are old are u? It is when u clock 50 that you will get married. I have been in love with you for a very long time,thought you are married. Am so happy to know that you are still single, I bet you am that woman you have been waiting for. Try me and by God’s grace I won’t fail you. if at this age u are not married, there is more to that. u better be honest with your self. Idiot u,as old as u re..shame on on u,pls permit me to ask dis question,why do ibo men ladies get marrid so late at old age n giv birth..
Kalu Kalu, be sincere to yourself, you will never find anybody near what you want. Very attractive, intelligent and God fearing are quality that do not go together, if you find anything like that beware, it might just be fake. Look for a fairly beautiful, intelligent and God fearing but not very attractive my brother, very attractive does not always go with God fearing. Do not confused that your Nollywood world with the real deal, do not focus on falling in love first, find a lady you respect and appreciate, grow with love for her not in love and you will be happily married. How do you find this person? Only by fasting and praying to Jesus asking for the direction of Holy Spirit, believe me brother no other way. How do u knw a God fearing woman? D one dat preaches early in d mornin or d one dat sings lyk an angel in d church? Beta wake up! F**lish man u wan end up suckin sugar mummy’s pu**y coz edey swit u abi? gvnor’s dy die by plane crash. Until you enter grave, you go till dey search. Take my torch….